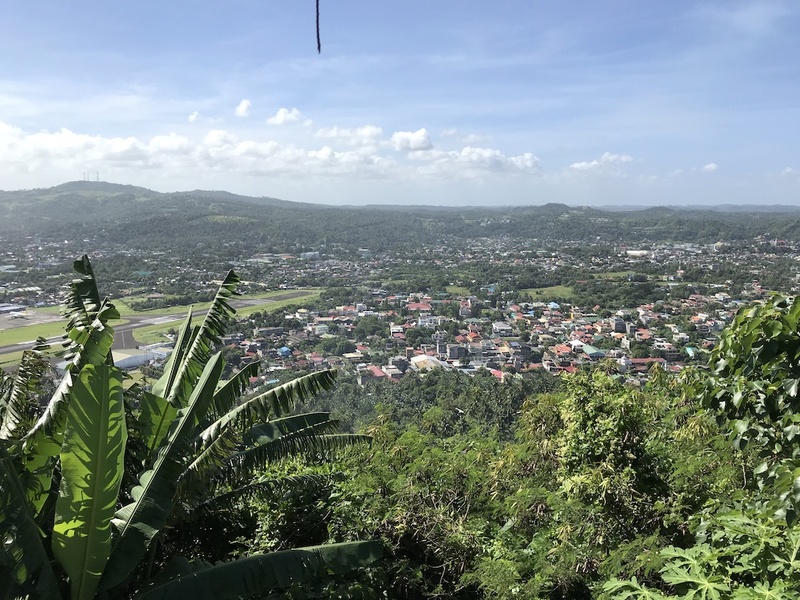 In late-November, 2018, I was guest of The Philippines Tourism Board in Legazpi, Albay in The Philippines. I’d never been here before, so of course I was excited. 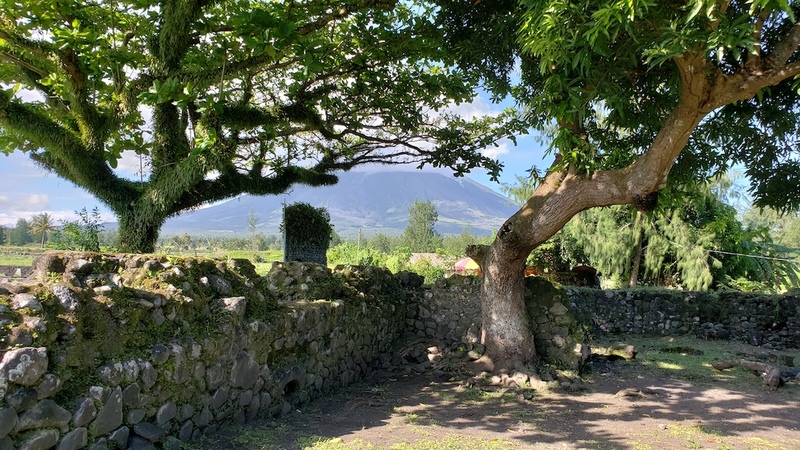 You can’t help but notice the huge Mount Mayon in the backdrop. You can literally see it from everywhere 360 degrees around it. And just to add a bit of a thrill, its an active volcano! Come explore the region with me. 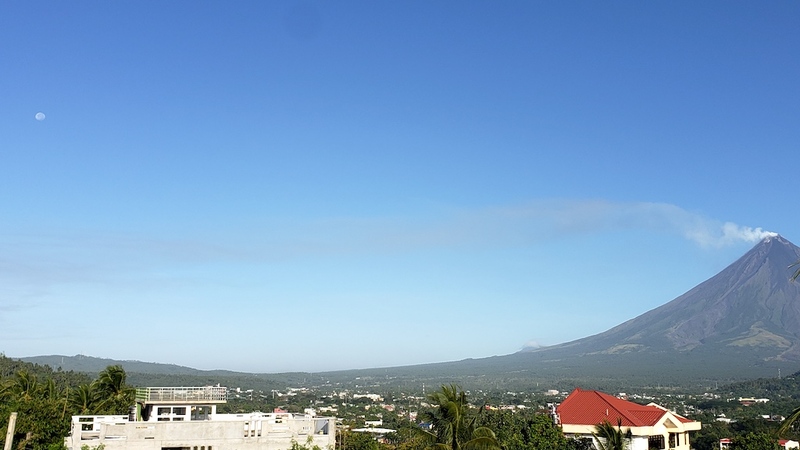 Legazpi City is located in the Bicol rgion of The Philippines. It’s southeast of Manila on the main island of the Philippines. You can drive there or take an airplane. 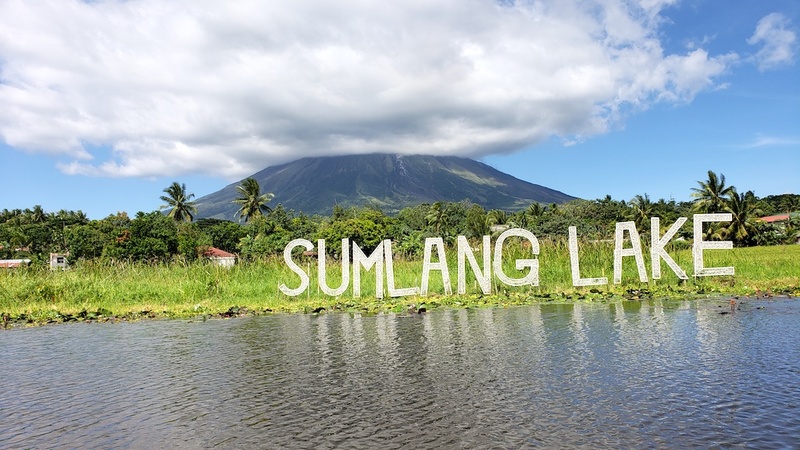 I love to go to far away places and Legazpi is one of those places. First stop is Manila if you’re coming in from the U.S. Once in Legazpi, you can take Jeepneys, taxis, pedicabs or walk around the city. Let’s look at how to get there. The closest airport is the Syracuse International Airport (SYR). 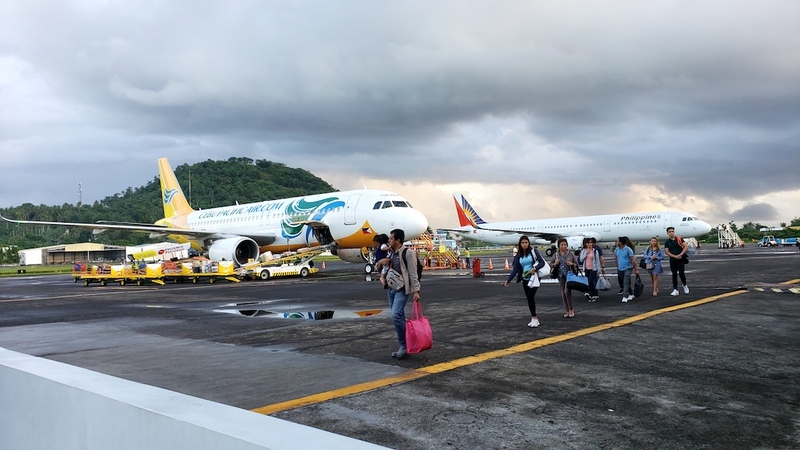 The airport is served by the following scheduled service airlines: Cebu Pacific Air (5J), Philippine Airlines (PR) and Tigerair Philippines (DG), with flights from Manila and Cebu. 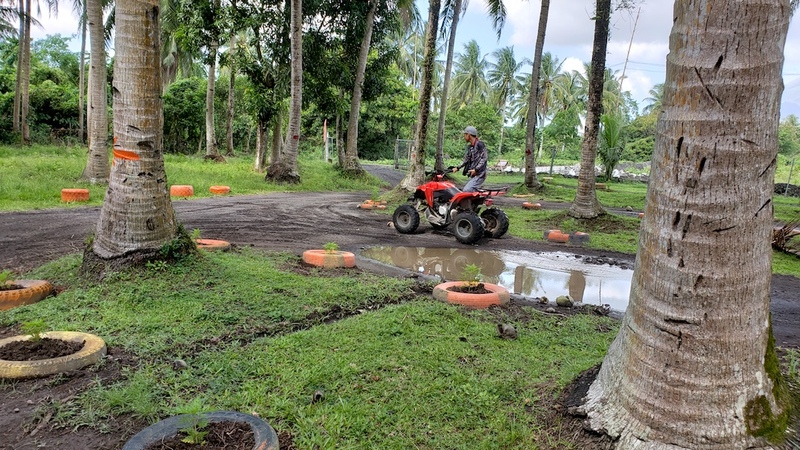 You can get to Legazpi by car. Use a mapping software such as Google Maps for directions. There is no train service. DLTB Bus. You can find information at http://www.dltbbus.com.ph/. 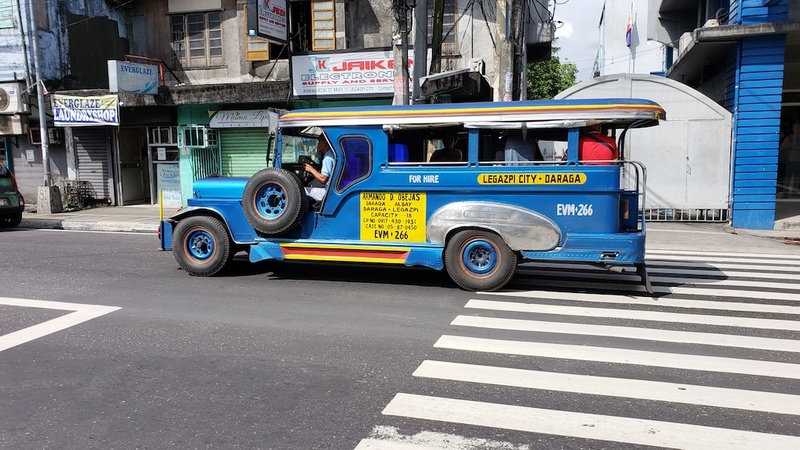 There is also the Bicol Isarog buses. 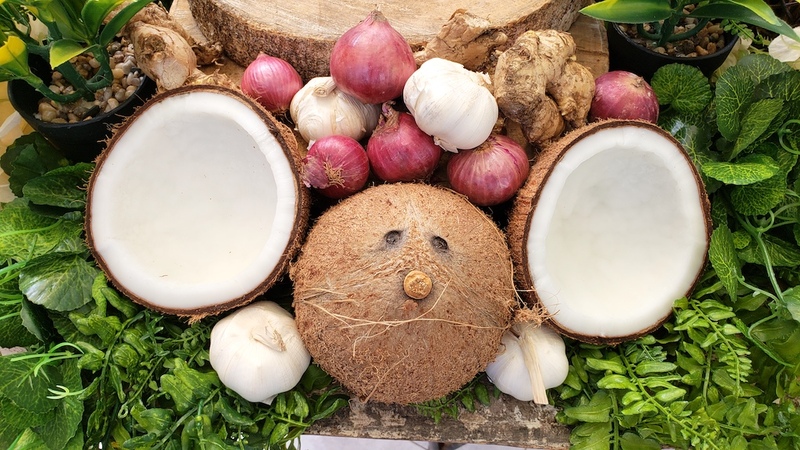 Information can be found at https://bicolisarog.com/. And ALPS Bus Co. Information can be found at https://bicolisarog.com/. Journey time is about 11 hours. This city has many things to do. It all depends on what you want to accomplish. 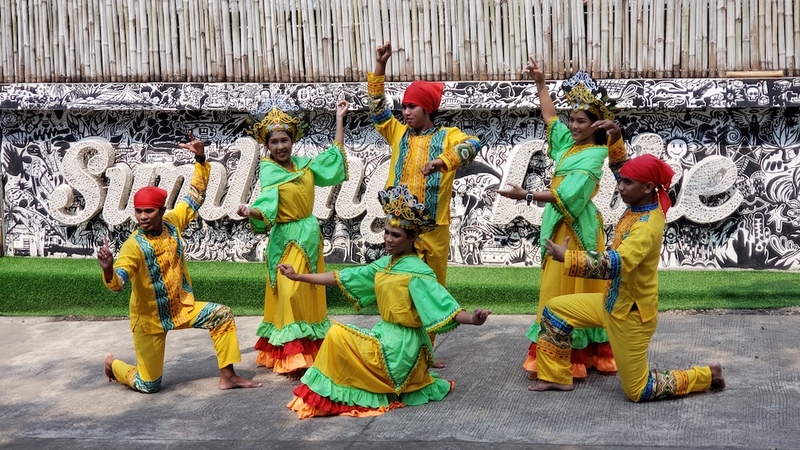 You can also do nothing, walk the city and enjoy the food and the welcoming culture of the Filipinos. Located in the nearby town of Cagsawa, the Cagsawa Ruins are those of a church that has a lot of devastating history. It was built in 1587 but was destroyed by Dutch in 1646. 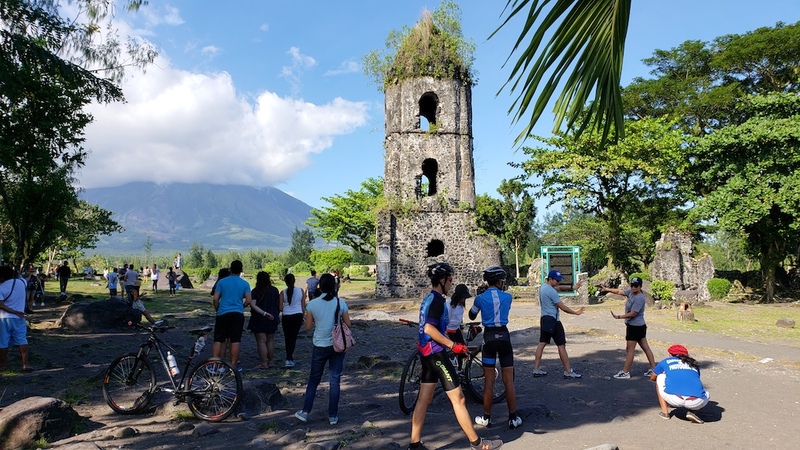 It was then re-built in 1724 only to be wiped out by the eruption of Mount Mayon in 1814. Today, one of the towers still stands and you can walk among other parts of the building. 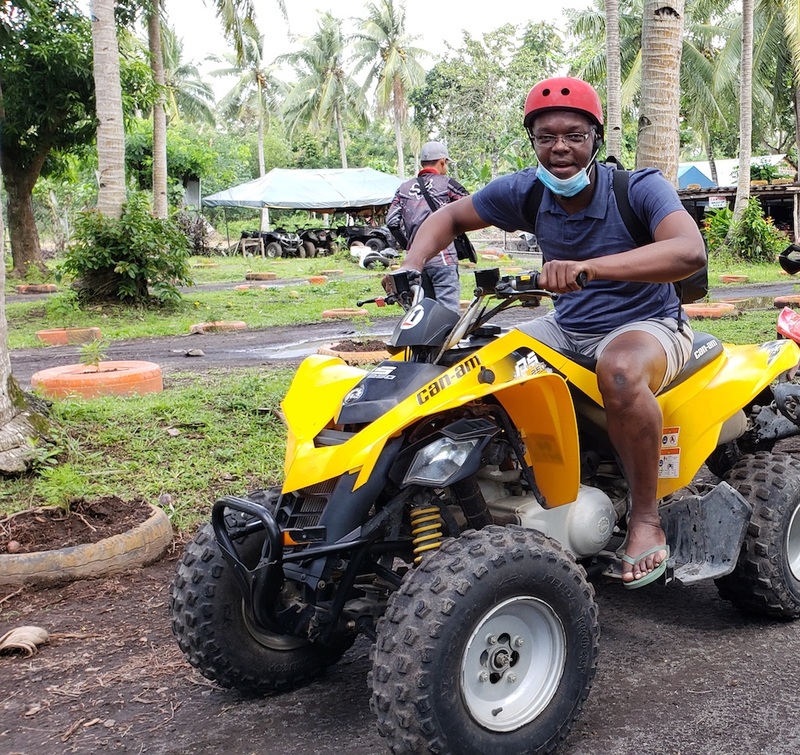 I went ATV riding with Mount Mayon ATV Tours and I must say I was scared. You know, you hear so many things about how dangerous it is. But it was fun and the safety factor was stressed before we left. 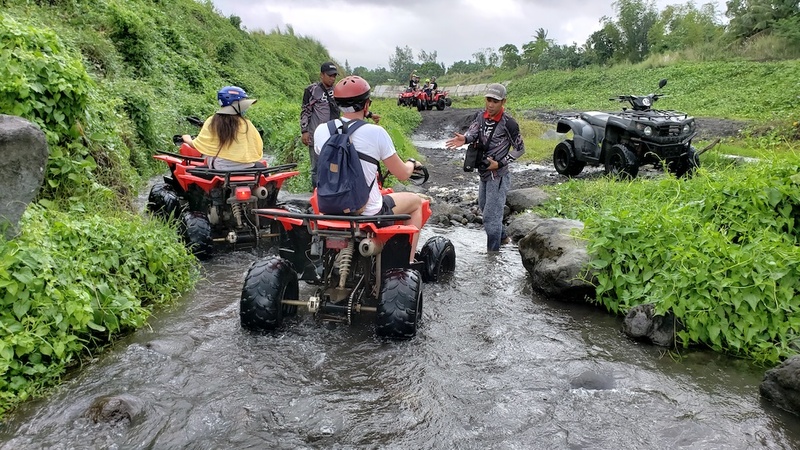 So we donned helmets, mouth masks, got expert instructions and then headed off towards Mount Mayon and through the rough terrain, the river bed and streets. 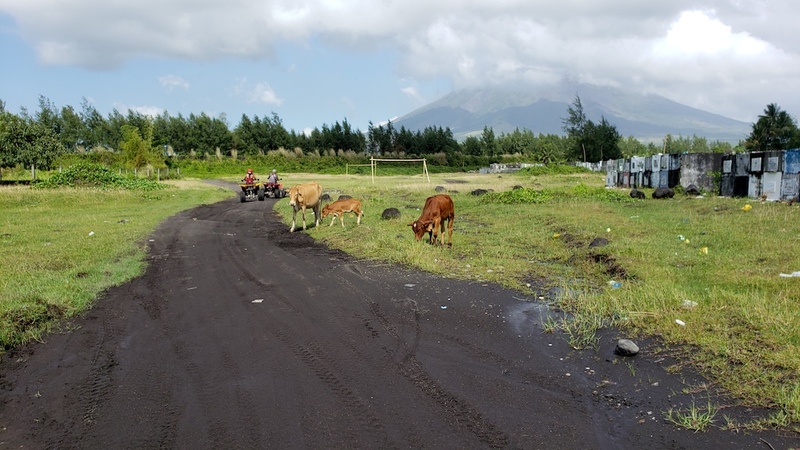 On the way up, we passed the PAWA Cemetery from where you get another view of Maount Mayon as some cows grazed. 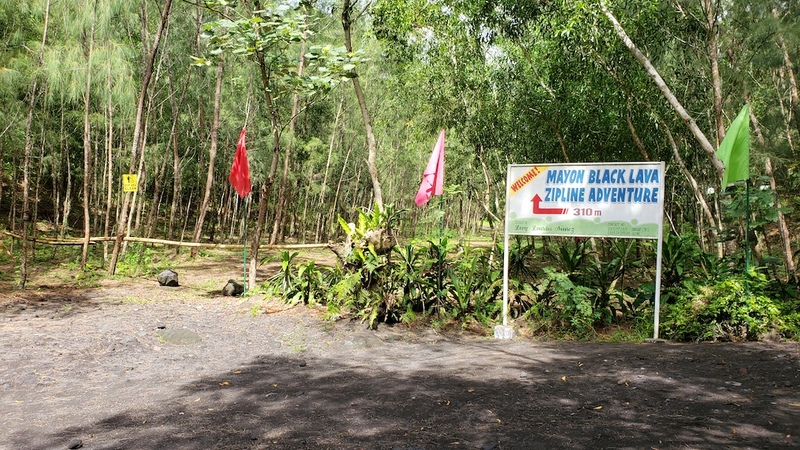 The ATV ride ends at the Mayon Black lava Zipline Adventure area. This is optional and as I’m not a fan of ziplining, I declined. My friends did though and had a blast. 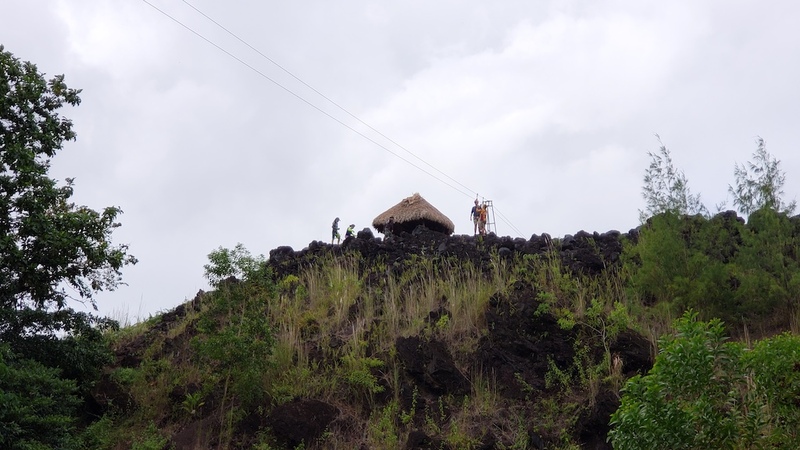 You can walk up to the starting point for the zipline though and walk on the black lava that was left over form previous eruptions of Mayon. It’s pretty insane to see and the view of the mountain and the city below is insane. Our view was shortlived as it started to rain, but stopped almost as soon as it started after a heavy downpour. 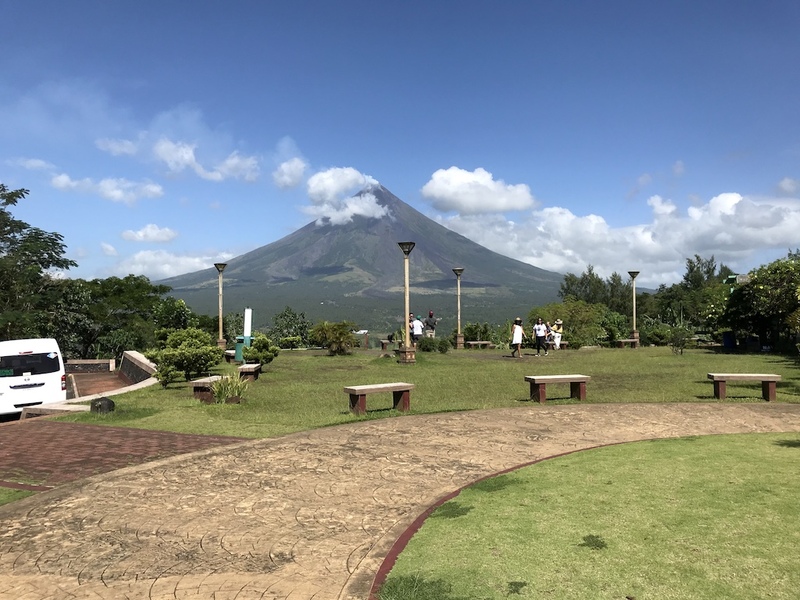 This Park sits high above the city giving you spectacular 360 degree views of the city, the airport and Mount Mayon. 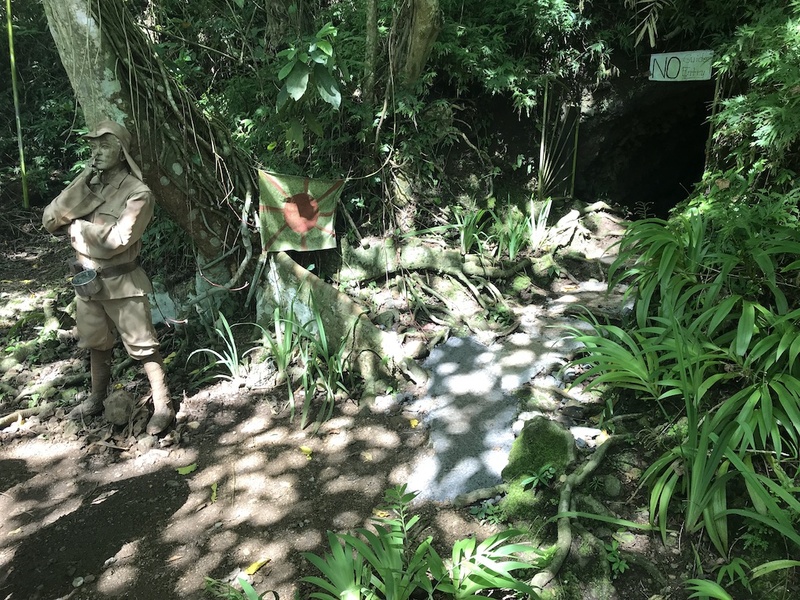 If you want to experience a piece of World War II history, then check out the Japanese tunnels. You can actually walk in them. It gets pretty low at times so watch your head. 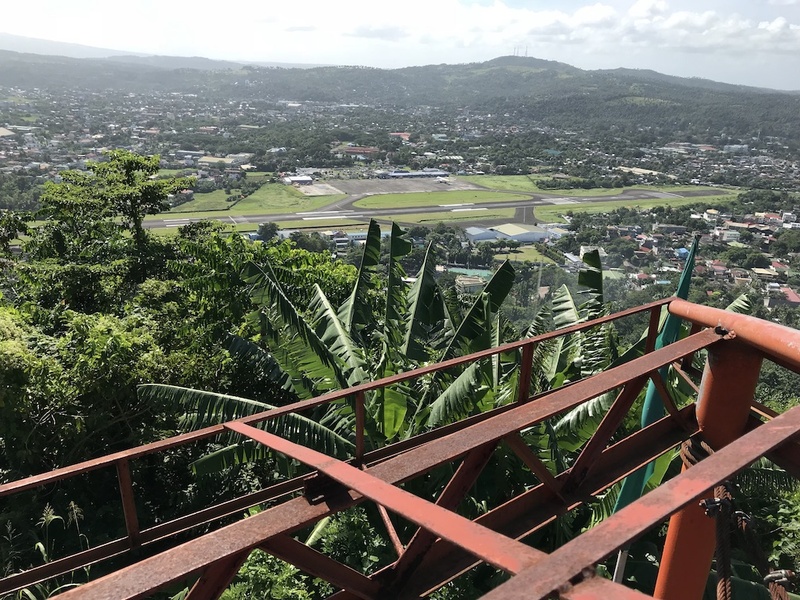 They are located on Ligñon Hill which overlooks the airport and the city. 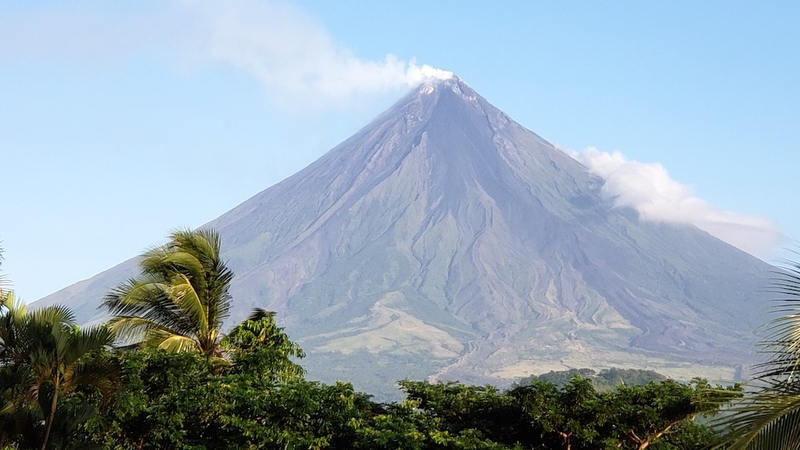 You cannot miss this majestic volcano. And yes, it is an active one. 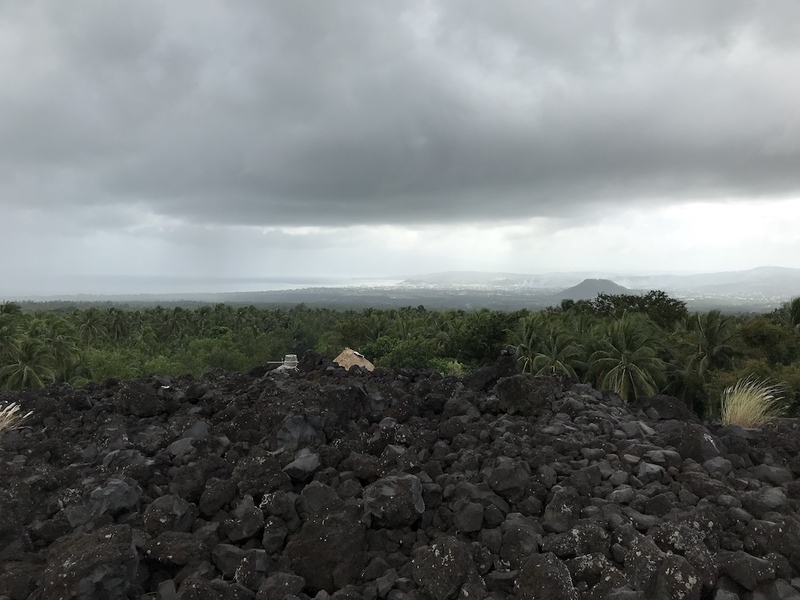 It last erupted in early 2018. The land around the volcano so people tend to live around it for that reason. Each eruption has typically claimed lives sadly. This Lake sits with a clear view of Mount Mayon. 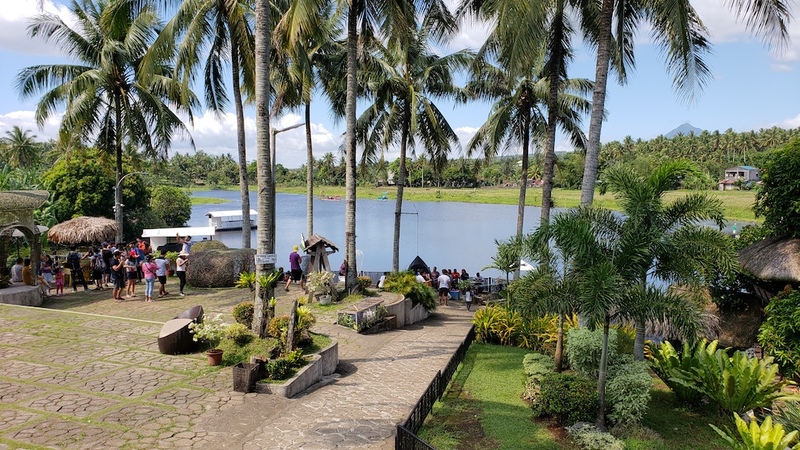 Here you can take a human-powered raft ride along the lake, watching fishermen at its edge and Mount Mayon looming at the other end. There are also craft and food exhibits here and a restaurant. There are a few places to stay here with different price ranges. You can check the link below for choices. You can see Mount Mayon from all over the city so that’s not an issue :-). You may also check the search box below to determine. 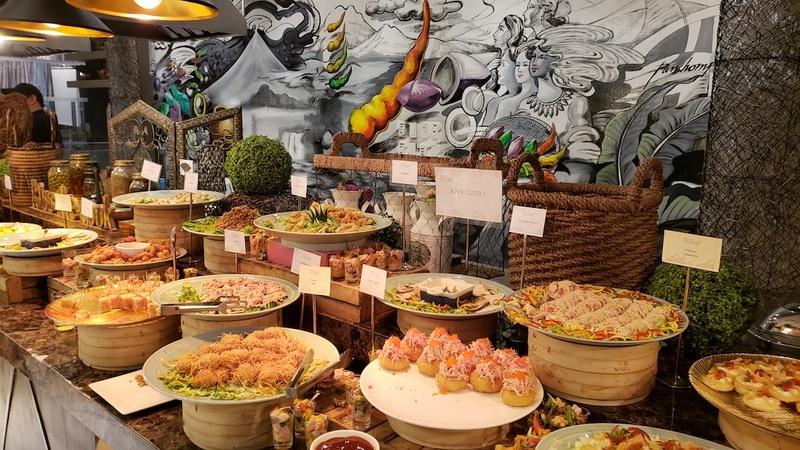 There is no shortage of places to eat here at all. You can head into the town and just pick a restaurant of your choice. 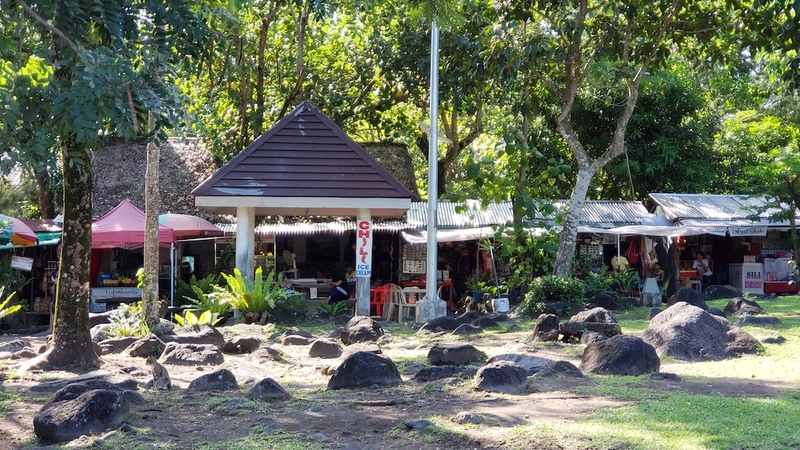 There is also a local market and also grocery stores as well as just small corner stores. 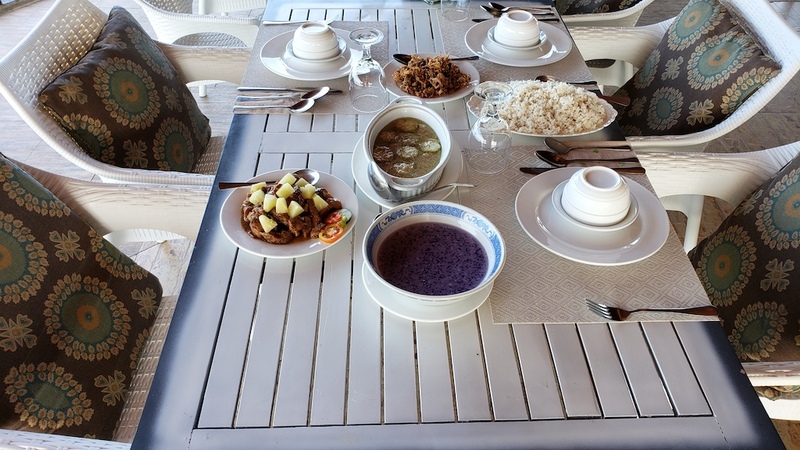 There are also restaurants at the attractions as well. 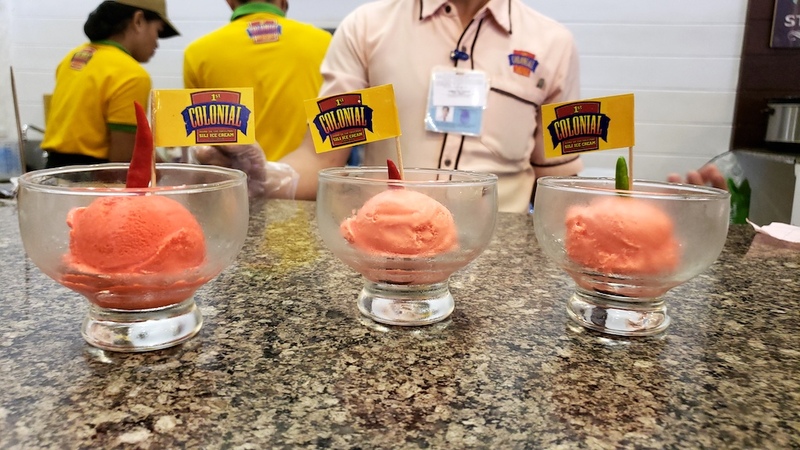 And try the local ice cream from the Mall. It’s pretty hot and made only in this region. 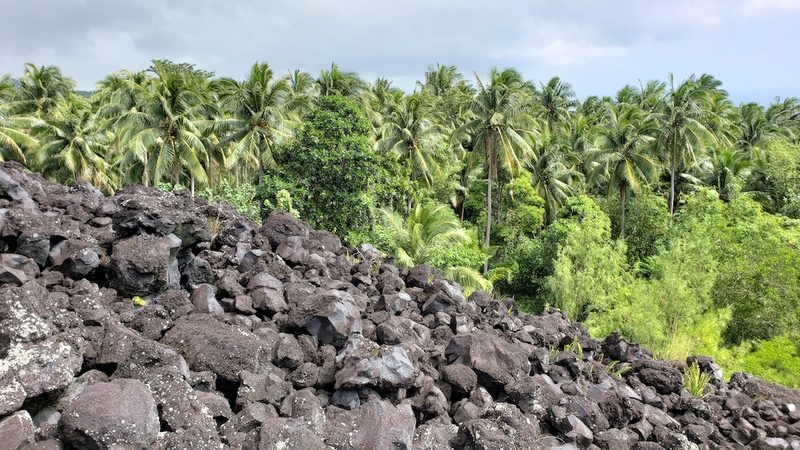 Have you been to Legazpi before? Or anywhere in the Bicol Region? Please leave a comment below if you have or if you have any comments.